Air quality is something that a lot of us just take for granted. Even if the indoor air isn’t perfect, it probably isn’t enough to cause problems for the majority of adults. However, if you have children or you are sensitive to certain kinds of allergens, it can be a real struggle to ensure that the air in your home or business is safe and clean. While there are plenty of products out there that say they can quickly and completely clean the air of any indoor space, one of the best lines of defense is making sure that your HVAC system is functioning correctly and that it is being cleaned and serviced at regular intervals. 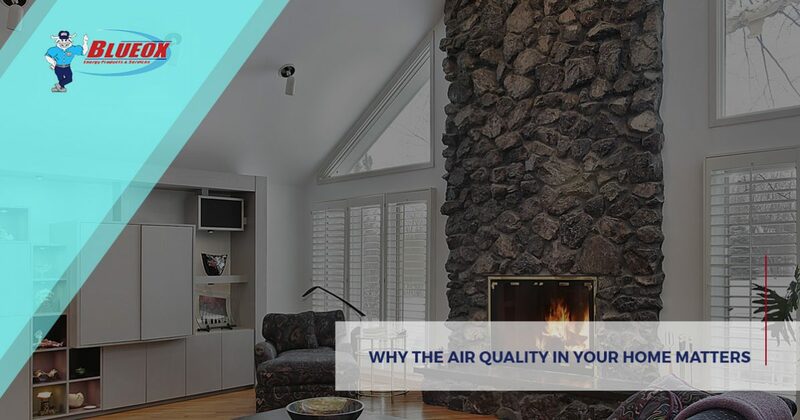 Read on to learn about why air quality is important and why you should call the HVAC experts at Blueox Energy in Oxford for help keeping your heating and cooling systems in perfect working order. Skin irritation, including rashes, hives, and dry spots. If you already have respiratory problems, being in an enclosed area with poor air quality may make your symptoms even worse. To avoid exacerbating your symptoms, make sure that you change your air filter on the manufacturer’s recommended schedule, or more frequently if your allergies are severe or if you have pets. Check to make sure that you are using the proper size and kind of filter. Some filters do a better job than others of removing tiny, airborne pollutants like pet dander. A good rule of thumb is to choose the filter that stops the most allergens possible. Illness. If you get sick, you may miss work or be less productive. In some fields, being impaired can be especially problematic. Left untreated, allergies can lead to infections. HVAC problems. While it takes a lot for poor indoor air quality to have an effect on your HVAC system, we have seen it happen. If you don’t change your air filter or clean out your vents ducting often enough, it can overtax your system. A system that is working too hard will break down more often. Contact Blueox Energy in Oxford today for help controlling the quality of your air. Our HVAC technicians can quickly and accurately diagnose and solve any problems with your current system. If you need repairs, they can handle almost any job and they also have a lot of experience installing new heaters, furnaces, and air conditioning systems. Call us in Oxford whenever you need reliable HVAC services or the most affordable and safe delivery of propane, kerosene, and home heating oil. We also carry a number of ductless heaters and cooling units.